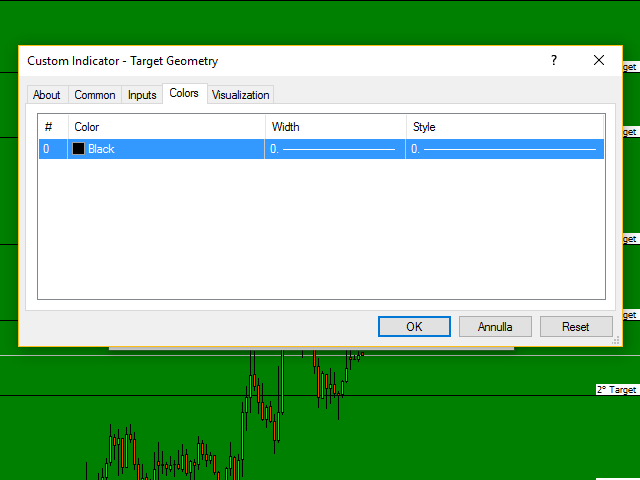 Target Geometry is a next-generation indicator that uses the geometric nature of the markets to give high statistical probability levels (Fibonacci). This indicator creates a very important map that optimizes the entry points and it optimally defines your own money management. The indicator can be used both in static mode or in dynamic mode, you can use it on any financial instrument. The use in multi timeframe mode is a very good ally to have. The indicator is equipped with a pop-up and audio alarm and also it is completely customizable. 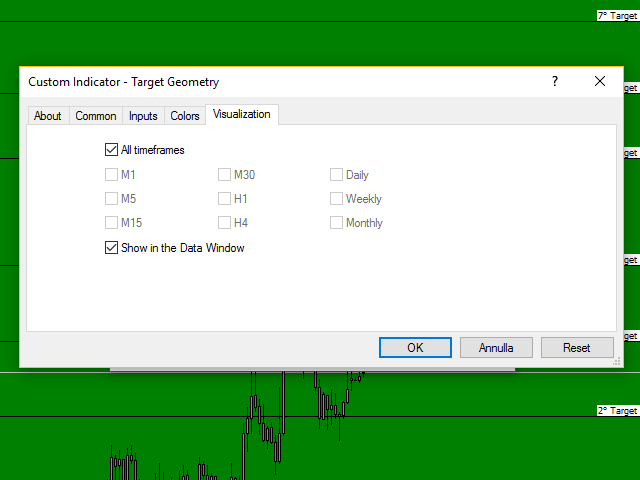 The target levels are high statistical probability, therefore we recommend to use extreme caution. This indicator will give you a new perspective and it suggests you a decision on the market. We are very happy to have created this indicator and we hope it will be useful to all. very nice indicator. 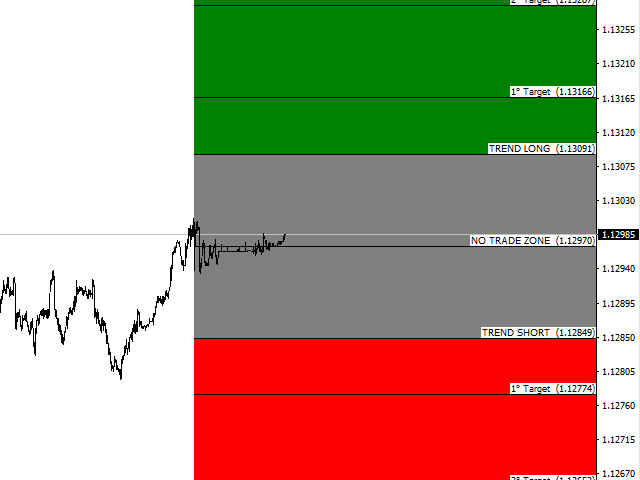 useful indicator for scalping to get TP positions. рекомедую. Useful in trending markets, useless in sideways markets. Однозначно пять ***** звезд! аналогично отзыву rpd2 купил не мало индикаторов все они 50/50 просто невозможно ! такое впечатление складывается что 99 % продавцов мошенники ! показывающие красивые картинки своих индикаторов ну все хватит негатива) теперь Я нашел реальный индикатор зон где я могу искать покупки / продажи проанализировал целый месяц и удостоверился в надежности показателей ! Спасибо автору за данное чудо) В обсуждениях буду делиться скиншотами своей торговлей по данному индикатору. my confidence in confirming other sigals. It is simple to use but I think a bit complex in its internal design. Thanks guys. Whether you want to scalp, day trade or longer term trade this is the indicator for you. My personal strategy is to load the indicator on mulitple instruments at the beginning of a new trading day. Analyse the market from scalper to day trading to intermediate mode. 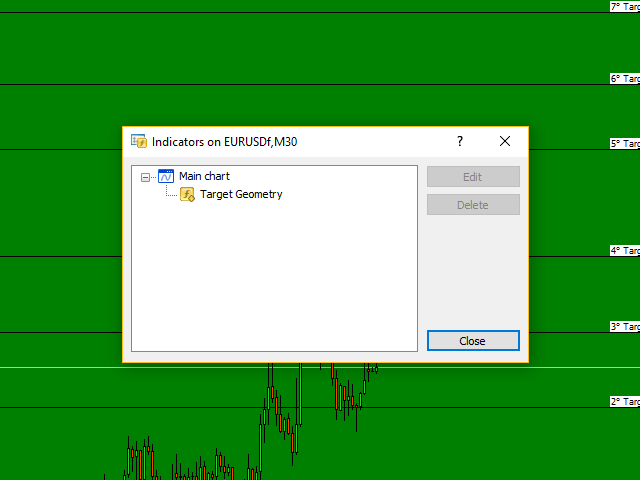 Then set orders buy and sell a few pips outside the buy and sell zones clearly marked by the indicator. I set TP conservative at Target 3-4 , but manage it depending on the signal of stregth of market which the indi also shows. 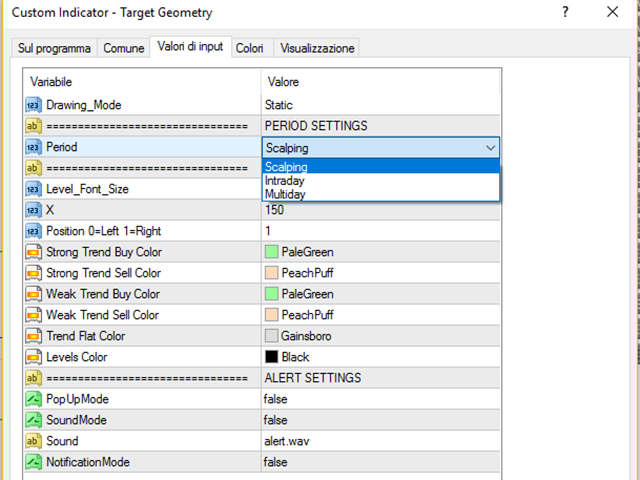 Then I may add other pending orders depending on the signals that the indicator will give during the day. I rented it for 3 months and made back the money in 1 trade on a 200$ account with 0.01 lots. I hope everyone that buys this indicator will have good success. fantastic and precise indicator, combined with the navigator, becomes an indispensable tool for the modern trader. Fantastic, really functional and practical, it has changed the way to approach the market!!! Defect on refresh after restart platform. Add inputs to customize lines. Fixed problem on TF display.